Here are the behind-the-scenes pictures we shared on our Facebook and Twitter pages today. 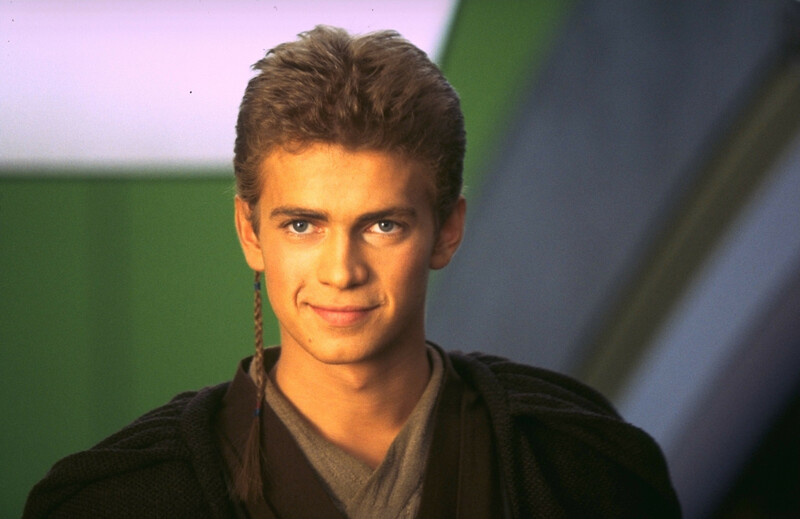 Cast member Hayden Christensen (Anakin Skywalker) behind the scenes of Star Wars: Episode II – Attack of the Clones. 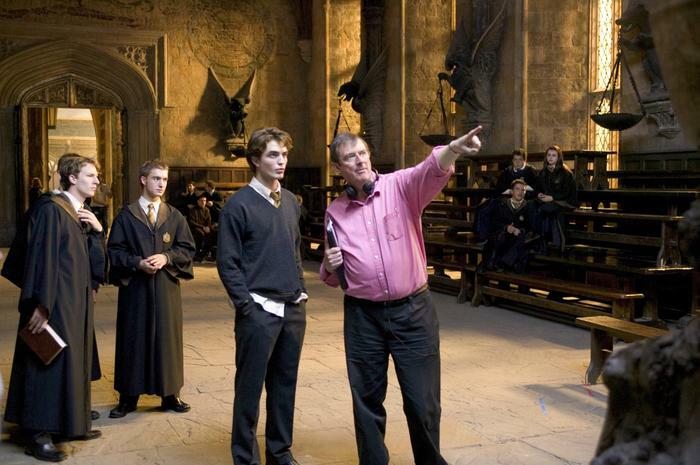 Director Mike Newell giving instructions to cast member Robert Pattinson (Cedric Diggory) on the set of Harry Potter and the Goblet of Fire. 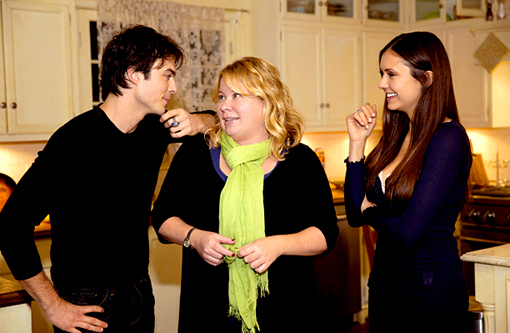 Showrunner Julie Plec with cast members Ian Somerhalder (Damon Salvatore) and Nina Dobrev (Elena Gilbert) on the set of The Vampire Diaries. 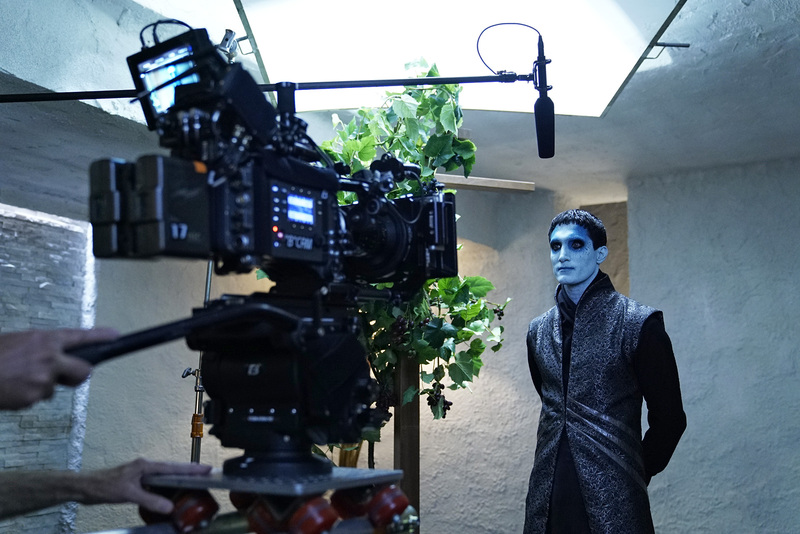 Cast member Dominic Rains (Kasius) filming a scene for Marvel’s Agents of S.H.I.E.L.D. 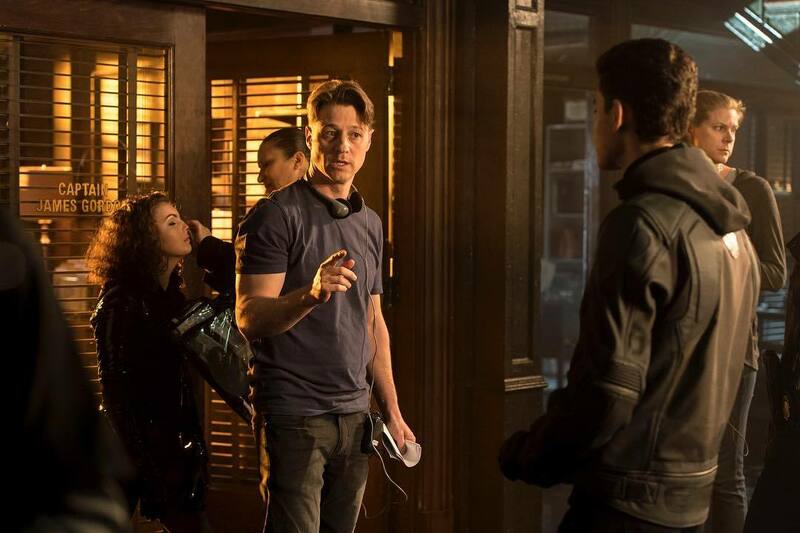 Cast member/director Ben McKenzie (Jim Gordon) and cast members David Mazouz (Bruce Wayne) and Camren Bicondova (Selina Kyle) on the set of Gotham. 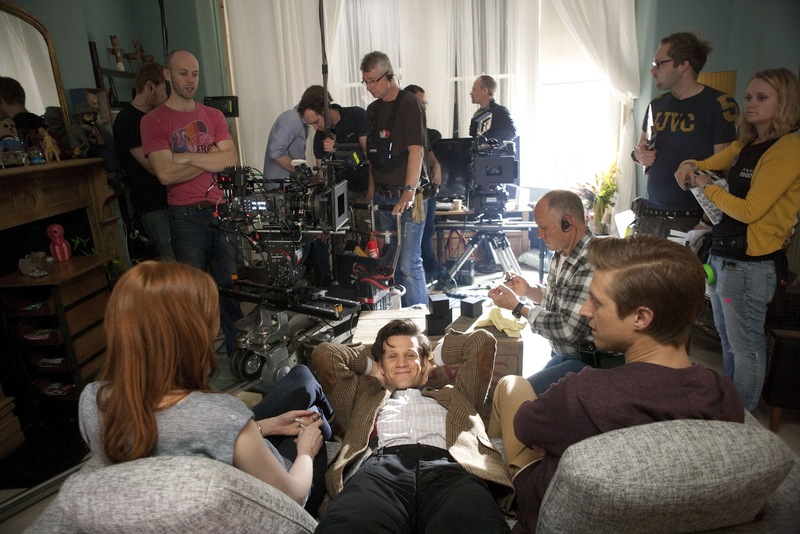 Cast members Matt Smith (The 11th Doctor), Karen Gillan (Amy Pond) and Arthur Darvill (Rory Williams) behind the scenes of Doctor Who. 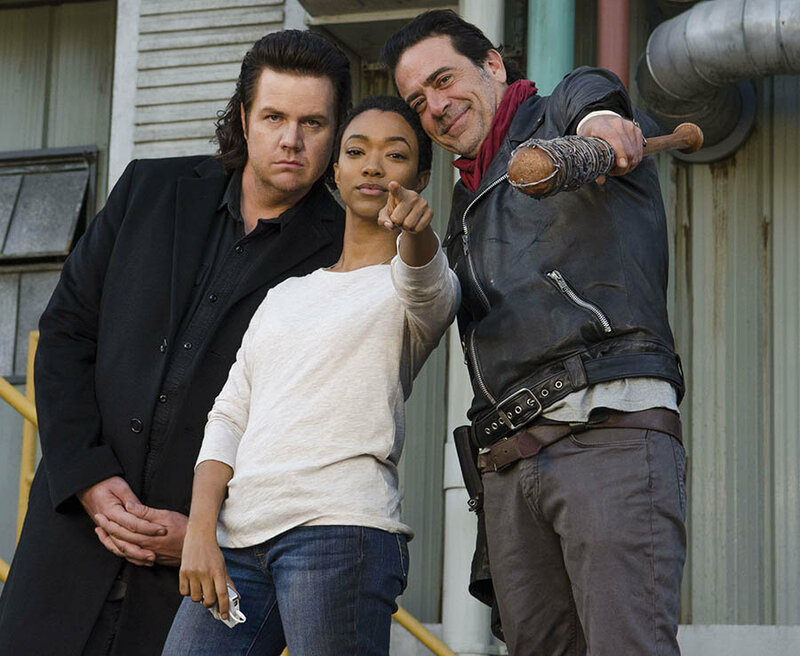 Cast members Josh McDermitt (Eugene Porter), Sonequa Martin-Green (Sasha Williams) and Jeffrey Dean Morgan (Negan) on the set of The Walking Dead. 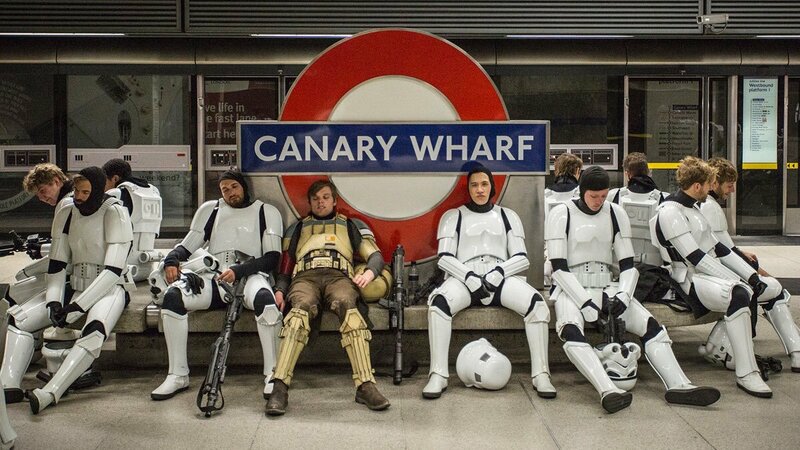 Stormtrooper and Shoretrooper actors taking a break from filming at the Canary Wharf tube station for Rogue One: A Star Wars Story.